“Your son can have a lot more fun when you put his pals behind him”? Are you serious, Fruit of the Loom? 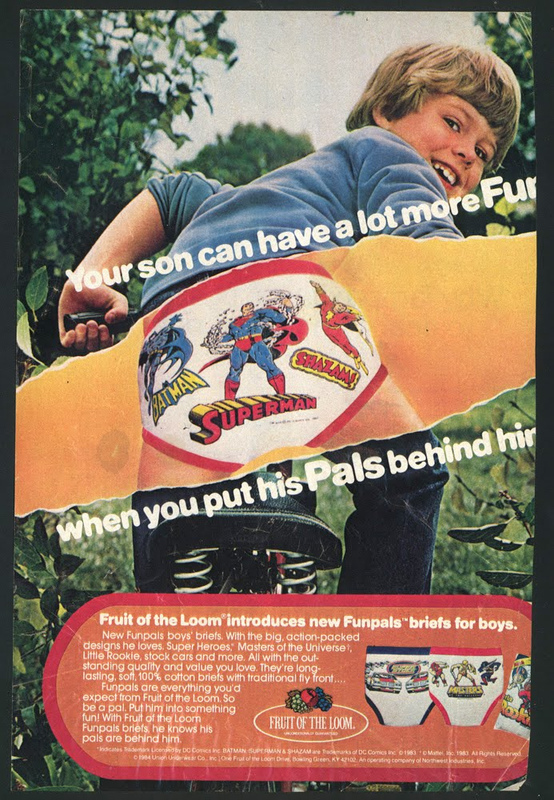 Do Funpals predate Underoos, or was it just a different name for the same product? They were different products, for some reason, and I’m pretty sure Underoos came first (1977). Indeed. That just screams EMBARRASSMENT! I mean, a tear across the image revealing the kids shorts?